Architecture – examine your roofline, doors, window style, pillars and other strong architectural elements of your home to see what you want to hide or highlight. Style – what is your personal style? What is the style of your house (traditional, ranch, prairie, colonial, etc.)? Views – what do you see when approaching your entryway? Stand on the sidewalk or across the street and examine your front yard from different angles. Focal point – keeping the front door prominent, what might be some secondary focal points? Unity is created with repetition, allowing the landscape to look planned and tied together. Creating masses or drifts of plants keep the design from looking too busy. Consider odd numbers of plants as we see them as groupings. Repeating colors or forms from the home’s architecture also creates a connection between your house and the garden. For example, coral bells can highlight purple shutters or trim. Remember to plan for foliage colors, as many perennials only bloom for a short time. Evergreens give winter interest and come in many different needle colors including blue, yellow, russet and more. Balance or scale is important when planting around a structure. 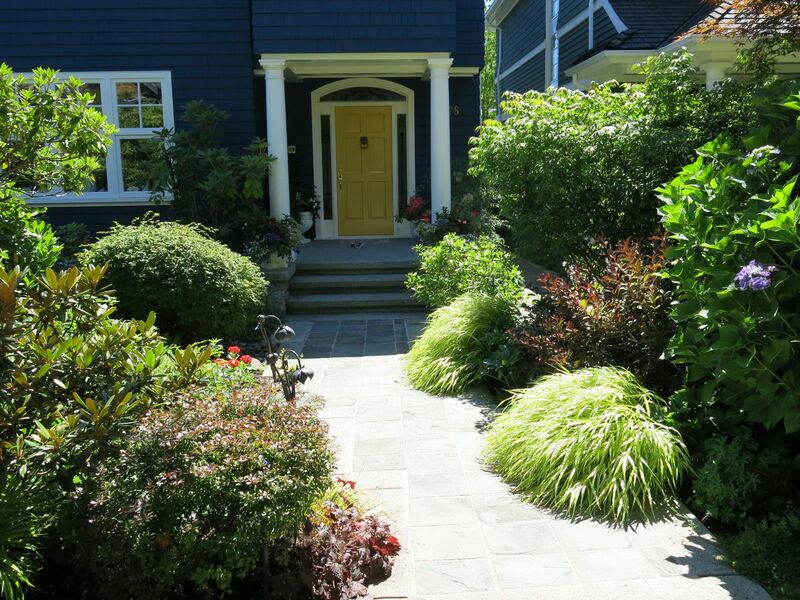 Big houses need larger scaled plants so that the home looks settled into the landscape. Ornamental trees can soften corners and offer good framing elements. Large containers add drama to big porches or more grand entryways. To make your maintenance needs easier, keep in mind the mature size of the plants you are choosing. Allow enough room for them to grow and not become crowded. Many times, dwarf varieties of trees and shrubs grow slower and require much less maintenance. Don’t forget to ask for help! At The Growing Place, we are always happy to provide advice and ideas. Want to learn more? 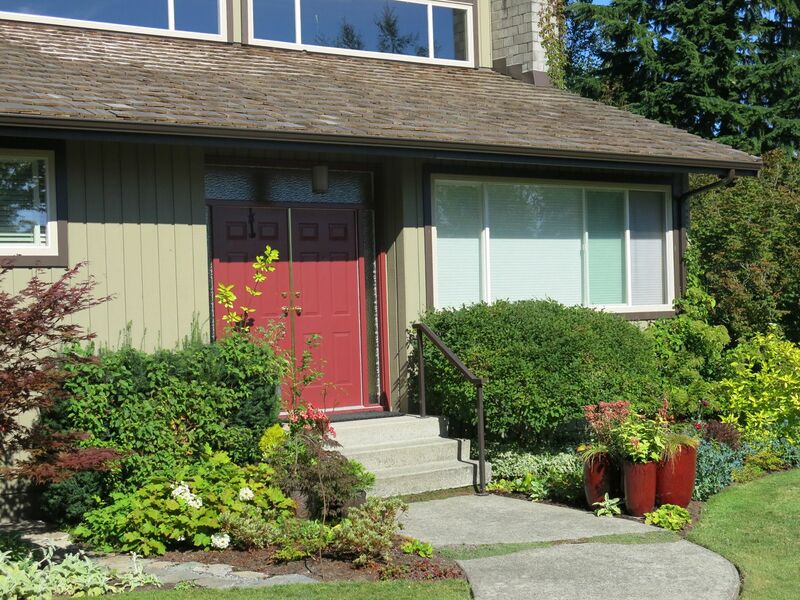 Come to our Raise Your Curb Appeal class this Saturday, August 26 at 1pm in Aurora. No registration required. See you there!